As you begin to prepare your team registrations at the beginning of the season, it's also a good time to begin thinking about waivers. Please refer to the BAYS web-site https://www.bays.org to view the precise requirements for waivers as articulated in our by-laws which are found under the Policies and Procedures Tab- Current Rulebook. Players are not eligible to be placed on a roster until the waiver is approved and provided to the club registrar. The Coach needs to have the player’s waiver number on the official roster, which has been submitted to the Division Director, before the player can play. Automatic residency waivers (described in by-law 2.A.1) - August 15/March 15. Discretionary residency waivers (by-law 2.A.2) - August 15/March 15. Division 1 residency waivers (by-law 2.B) - August 15/March 15. ADA waivers (by-law 3)- July 15/February 15. Grade waivers (5B) for advance grade players of the proper age - August 15/March 15. Age waivers (5C) for over age by up to a year but in the correct grade - August 15/March 15. Roster size exceeding 22 in MTOC eligible 11v11 (bylaw 6.C.2.a) - August 15/March 1. Roster size exceeding 22 for 11v11 teams (by-law 6.B.1.a)- August 15/March 15. NOTE that roster size waivers for MTOC-eligible 8th Grade teams are required to be received by March 1, so late submissions WILL NOT BE CONSIDERED unless supported by a 2/3rds vote of the Competition Committee. For any other waiver types, late requests will be considered; however, they may not be approved in time for the first game of the season. All waivers expire at the end of the Spring season and MUST be reapplied for in the Fall even if the conditions underlying the waiver request have not changed. All waivers should be submitted using the online interface at Waiver Management – Waiver Application tab at www.bays.org. Organizational Presidents and Registrars are able to submit waivers when they login through the Unified Login. The requests must be made by a club official (e.g. registrar, president, travel director) and cannot be made by coaches or parents of players. Coaches and parents WILL NOT be copied on the return correspondence from BAYS. Submission of a waiver by a club infers that the club sponsors the waiver request. Inter-league waivers are required when the player does not live within a town served by BAYS. Please note that per the League President's Agreement, ALL inter-league waivers (even BAYS "automatic" waivers) require the approval of the town of residence and the President of the league of residence. Please note that the hard copy inter-League Transfer form may be supplanted by email approvals - please contact [email protected] with any questions. It is the club's responsibility to secure the approvals before the waiver request can be considered complete and acted upon. 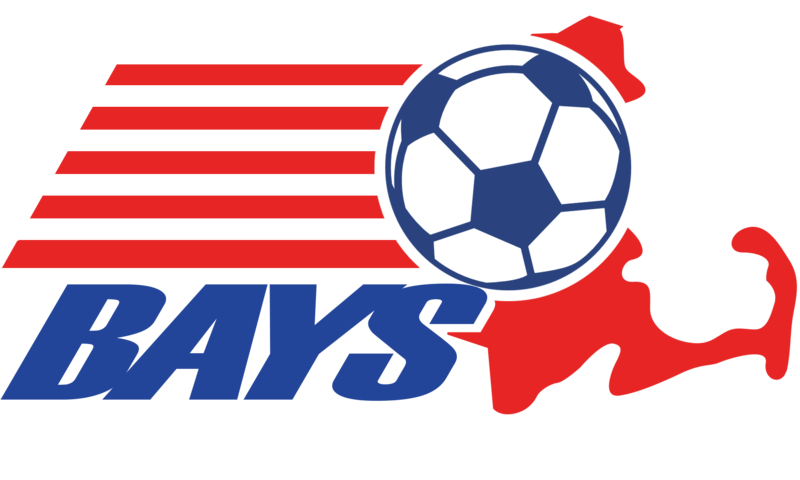 Some useful contact information for non-BAYS towns/leagues can be found at the MYSA website: www.mayouthsoccer.org click on the "Leagues Tab" and select the League of interest. If you aren't sure which league, at the very top of the page is a "Soccer Locator Map" link which shows which leagues cover what area of the state. Each league page has links to the towns that it serves. Approval from a club in both the town of residence president and appropriate league president must be submitted with the waiver request to BAYS. Inter-League player transfers onto MTOC eligible rosters are not permitted (are “frozen”) after April 30 of the seasonal soccer year. There are three categories to consider, Resident of US States with reciprocal relationship with Mass Youth Soccer, Resident of US States without reciprocal relationship with Mass Youth Soccer, and International players. Contact Mass Youth Soccer for a list of those states with reciprocal relationships. At the time of this writing, all six New England States have reciprocal relationships. For a resident of a state with a reciprocal relationship, the player is treated as if a resident of a BAYS town. The club needs to secure a waiver based one of the BAYS Residency bylaws. The player is then affiliated with Mass Youth along with all the players. The player does not register with the state of residence. For Out of State, International or non US Citizen waivers, please contact [email protected] or [email protected] for any clarifications or questions.. Please note that the waiver by-law (2.A.1.b) permitting a player who has moved out of town to play for their original town REQUIRES play "as a resident" in two of the last 3 Spring seasons. As approved by the membership on Feb 9, 2005, a player originally qualifying for this waiver, may receive this waiver indefinitely providing they do not play for any other town program (Club team play does not disqualify a player for this provision). Once a player plays for another town based program, the player is ineligible to receive this waiver unless they qualify again by playing two years as a resident. While the player is eligible to have this waiver granted indefinitely, it must still be applied for each soccer year indicating the original waiver and a statement that the player has not played for any other town program. By-law 2.A.2.a provides for a discretionary waiver to be granted if there is no room on a team in the player's town. Please note that in order to be considered for this waiver a player (and/or their family) must demonstrate that they have made reasonable efforts to play in their town of residence on a timely basis. Late registration, failure to register, or failure to attend tryouts may be considered as evidence of not having made a reasonable effort. In those rare instances where a roster size waiver is granted, the team receiving the waiver will be INELIGIBLE for the BAYS playoffs AND MTOC play. Requests of this type will only be granted at the sole discretion of the Competition Committee in very limited situations where all of the players on the team registered to play for the town by the town's registration deadline and there are no other teams on which to place a 23rd player.